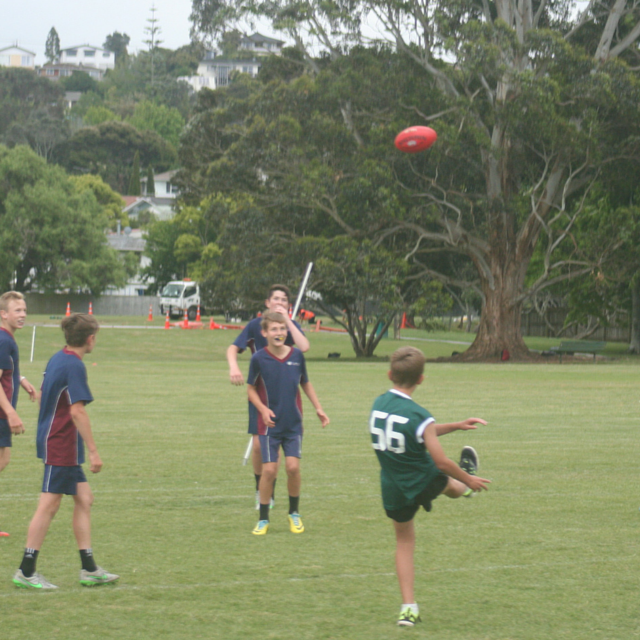 The AFL KiwiKick North Harbour Intermediate Tournament took place this week at Sunnynook Park on Auckland’s North Shore. Over 100 Year 7 and 8 students from 6 Schools (Murrays Bay Intermediate, Rosmini College, Orewa College, Belmont Intermediate, Wairau Intermediate, Albany Junior High School) converged on Sunnynook Park to take part in the annual tournament and with a lot of talented youngsters playing in each team, all the games had their moments of brilliance, including some big marks and very slick goals. After three rounds of pool play and semi-finals, 8 teams became 2 and the finalists were found. Murrays Bay Intermediate was set to take on Rosmini College where both teams were undefeated all throughout the Tournament. The first half saw a tight contest, with neither team able to get on top of the opposition. Rosmini were particularly impressive with the skill of the handball. In the 2nd half Murrays Bay began to play very smart AFL, kicking and marking accurately around the field to keep possession of the ball. They also managed to put more goals on the board, and eventually ran away with a 5.8: 38 – 2.1: 13 win. “They were awesome, and absolutely stepped it up for the final!!! The whole day was a great success and Thanks again so much to Reg and his team, they are just superb.” Murrays Bay Intermediate teacher Nicola Ward-Able was stoked for her young group of boys from the Bay. AFL KiwiKick has grown in stature on the North Shore over the past 6 years through the help of school projects funded by Harbour Sport and the Government funded KiwiSport initiative. The projects include AFLNZ coaches teaching the fundamental skills of AFL within School hours which gives kids the opportunity to continue playing the sport. Through these projects, AFL New Zealand has seen growth in this area and provided a pathway for young children to play organsised sport. 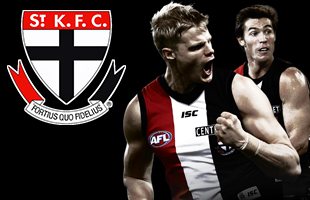 The AFL KiwiKick festival day tournaments allow students to gain a greater understanding of AFL, from the teamwork required to score points to the application of fundamental movement skills taught by the sport. AFL New Zealand would like to thank all the teachers in charge for organising their teams to take part in what was a great day had by all. AFL New Zealand would also like to extend a special thanks on of all the participants to Nicola Ward-Able of Murrays Bay Intermediate School, who played a leading role in organising and running the North Harbour AFL KiwiKick Tournament.